Callum Rudd came back to visit us today to say thank you for helping him to successfully reintegrate back in Crosby High School. He said that he enjoyed his new school but missed many off the staff at the Oakfield staff. Mr Hincks was really pleased to hear how the staff at Oakfield had helped him with his self confidence and how he valued his time with us. 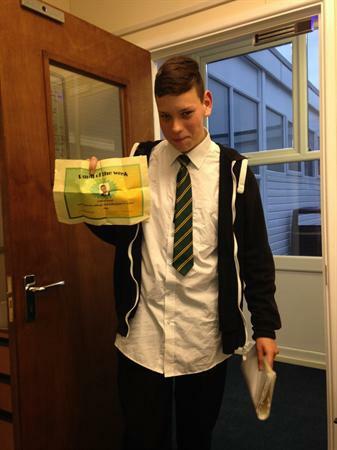 He even got out his pupil of the week certificate that he had gained last week.